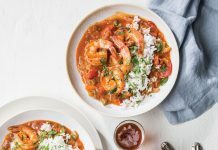 In Louisiana, there is a strong connection between food and family. Recipes are discovered, cultivated, and passed down through the generations, becoming bright spots at gatherings and creating happy memories with the ones we love. 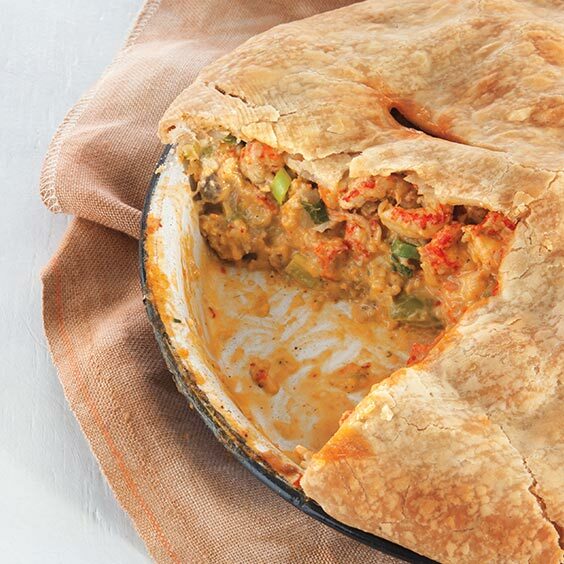 Nell Aucoin Robarge, of Baton Rouge, inherited this recipe for Crawfish Pie from her mother, Brenda Aucoin, who adapted it from an old church cookbook. The Aucoins hail from Napoleonville, Louisiana, a tiny community on Bayou Lafourche that dates back to the 18th century. Growing up, Nell remembers enjoying the pie along with fried fish and other Cajun delicacies when extended family would come to visit. Today, she makes it on weekends, and when her children are in town and there are plenty of mouths to feed. In a large skillet, melt butter over medium heat; add onion, bell pepper, and garlic; cook until softened. Add soup, evaporated milk, salt, and peppers. Add cornstarch mixture. Reduce heat to low, and cook until thickened, about 5 minutes. Fold in crawfish, green onion, and parsley; cook 5 minutes. Place bottom crust in a deep-dish pie plate, and bake, using pie weights, until lightly browned, 7 to 10 minutes. Fill with crawfish mixture, and place top crust on pie. Bake until browned, 25 to 30 minutes. This looks like an old recipe I had but lost. Thanks for sharing! Who knows, Nell and I may be related since a lot of my Aucoin ancestors settled in Assumption Parish. Looks delish, can’t wait to make it!! I made this it’s my go to potluck recipe. A hit every time. I’ve always heard the song,but now I have the recipe. Will be making this soon. I have yet to taste this beautiful ( which by the way looks scrumptious and sinfully good) l can’t wait to serve this pie to my family and friends. I made this pie this weekend and it was great. I don’t have a deep dish pie pan, so I made two regular 9″ pies. One pie is enough for 6 adult servings with a veggie side dish. I froze the other for another special time. Hope it turns out as well as the first one. Additional note, I upped the seasonings to taste and used ground cayenne pepper, as I didn’t have crushed red pepper. I put a bit of old bay in mine. Additional note #2. For those that don’t know what pie weights are. When you bake an empty pie crust, it will bubble up and harden, so the weights (which look like marbles) keep it down while baking. If you don’t have pie weights, which most people don’t, use uncooked rice or beans with a piece of foil or parchment paper between the crust and rice/beans. I was just thinking, what are pie weights?! That’s for the clarification! Thanks so much for that tip. I don’t have pie weights so I was happy to see this comment. I was thinking of adding chesse! no cheese!!! NOT MEANT FOR CHESE! Please do not add cheese…..This is uniquely Louisiana and cheese is not a good idea. It will take away from the flavor of the rest of the ingredients. Please cook it according to the recipe first so you will see how good it is before messing it up. I do suggest adding a little fine chopped celery and a tiny (for those not from South Louisiana) bit of Louisiana Hot Sauce. My wife and I made this last night. Absolutely restaurant quality delicious! Changed up a few things. Couldn’t understand leaving out celery – one of the members of the “holy trinity” of cajun cooking (i.e., bell pepper, onion, and celery). Ok, so added chopped celery and also used cream of celery soup instead of cream of mushroom. Used red and orange bell peppers instead of green. We just like the flavors better than the green ones. Also added a small amount of Tony Chachere’s Cajun Seasoning and about a half cup of red wine when sauteing the veggies. Also used a little cayenne pepper. Other than that and using a little Tabasco after plating…pretty much followed the recipe. We baked it in our favorite enameled cast iron baking pot – which always makes a huge difference with any baked dish. Lol, other an than that… you pretty much changed the recipe bit it still sounds good. Just thought that part was funny. Why don’t you just post your own recipe somewhere else. Its somewhat rude to come on here and completely change the recipe they got from family. It appears you are the rude one. No cajun would object to their neighbor changing their recipe to suit their own taste. That is why there are about as many versions of traditional cajun recipes as there are cooks in South Louisiana. Perhaps you should visit with us for a while, learn our customs and our people before you give our people the old Yankee attack dog treatment. I like your ideas…sounds great im doin just what you did!! I add 2 tablespoons of ketchup to the mines and I always add celery leaves chopped up and a few drop of hot sauce. been making this for over 38 yrs now. Great recipe. I took a couple of corn cobs left over from a crawfish boil and cut the corn off to add to the mixture. Perfection!! That’s a great question! So long as you have two pounds of seafood, you can add chopped fresh shrimp in addition to, or instead of the crawfish. In my opinion I think shrimp will make such water. I made this, tweaked the ingredients and oh boy it was amazing. I live in utah, originally from deep south louisiana. Couldn’t have bought anything any better. I added celery, used red bell pepper and red onion, changed to cream of celery added a jalapeño, added shrimp in addition to crawfish and had to distribute into two pies. The flavors were authentic and amazing. It was not too spicy, thank goodness I added the one jalapeño. I am always looking for amazing recipes, and I always change them a bit, never has anyone not eaten what I cook. It was too easy. I also froze the second one. Hope it turns out when we reheat! I have a recipe for etouffee that uses golden mushroom soup, this is the only thing I would change in this recipe! I mixed the cream of mushroom with cream of celery…..I also saw cream of shrimp in the stores. Would love to have your Etouffee recipe. I live in northern IN & it’s hard to find just crawfish tails. I can always get the whole crawfish – Just not sure I want to work that hard. 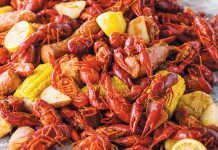 It’s true that finding Louisiana crawfish outside Louisiana can be difficult, but there are a few things you can do. First: ask the seafood department of your favorite grocery store to see if they can source some for you. That’s the easiest, and you get to support your favorite store. If that doesn’t work, you can order some on websites like CajunGrocer.com ( http://www.cajungrocer.com ). And thirdly, if you can get good American shrimp, you can use them as a substitute. You would be able to substitute 2 pounds of raw chopped shrimp for the crawfish tails. We live in the UP of Michigan and we get our crawfish tails at Walmart. Love making crawfish pies! Walmart stores here in Indy carry two brands of frozen crawfish tails. One is from China, but the other is Riceland Cleaned Crawfish Tails, a “Certified Cajun Product” out of Eunice, LA. It’s a couple of bucks more, but worth it. I’ve had great luck with lacrawfish.com. I just ordered 10lbs. of tails for etoufee for a party. I only used 8 and was thinking of making this pie with the other 2. Shrimp, Cajun sausage, mushrooms, and creole seasoning. FILO instead of pie crusts. Thanks so much for sharing your recipe!! I put sausage,and potatoes and corn in mind,everything the crawfish boil have. I’m gonna half this, but still use the whole can of cream of mushroom soup. I think I will rinse the fat from the raw crawfish tails, and soak the tails in liquid crab boil overnight. I do this with most of my crawfish or shrimp dishes. It makes a world of difference!! Oh my goodness!! Was looking for the perfect recipe when my grandson asked for a Crawfish Pie. He shelled the Crawfish for me and the pies (enough for two deep dish pies) are fantastic!! I added a teaspoon of Chef Prudhomme’s seafood seasoning and it’s the best I’ve ever eaten!!!! Will be a ‘keeper’ recipe! Question: do you use cooked or raw crawfish tail meat for this recipe? Yes, we used cooked crawfish tail meat for this recipe. But because it is baked at 400° for so long, you could use whatever crawfish tail meat you can get your hands on. OK! Last time I cooked it directly as the recipe calls, delicious of course! However, having grown up below I-10 with Grandmothers and great Aunts who loved their kitchens and cooking in them I was Willing as often as possible to be Chief Taste Tester, Experiment Guinea Pig, and Student. Sometimes the Changes & Substitutions are due to whim and sometimes due to Lack of some other Ingredients. ~ Sauteed all 3 Seafoods together until Liquid barely remained. ~ Sauteed 1½ Cup (store bought) Onion/Garlic/Bellpepper/Celery Mix in Butter added a Tbsp of Minced Garlic and some Parsley Flakes. ~ Added in Seafood and Whipping Cream, stirred till bubbling. ~ Added Tony Chachere’s Spice & Herbs for Cajunized Flavor and bit of Salty. ~ Slowly added Tony Chachere’s Instant Roux Mix to Thicken & Flavor a bit more. ~ Added some Cary’s Dry Roux to Thicken further without adding Salt or more Spices. ~ Added and lightly mixed in ½ Cup Fresh Chopped Green Onion along with a Handful of the Uncooked Onion/Garlic/Bellpepper/Celery Mix! It will cook but be firmer when you bite. (Texture difference is the only reason I did this). ~ Filled store bought, 2 pack, frozen deep dish Pie Crust right to the top! ~ I cook with a Pie Crust Top, making 6 cuts “clock hand” vents and then invert this 2nd pie crust on top of the filled pie, squeezing them together all around. ~ Just reach in oven, in 10 Minutes, with a long fork and flip the top pie pan up and off. It will have neatly collapsed on top and can brown now! ~ I preheat to 400° then turn down to 325° as soon as the pie first goes in! ~ Cook about 30 Minutes and pull out to cool. ~ If you poke the crust and it’s firm, Voilà! Tà-Dā! Bam! Success! Ooooh! And should liquids show, you’ll have to adjust next time! The first time I used Raw Shrimp, figuring they’d cook easily enough, I wound up with a Fantastic Tasting GUMBO PIE! NOTE: When stirred it is something like cookie dough or Non-Runny Tuna Salad, so it’s Not very Wet at all! Too Wet (or using Raw Shrimp) and the Pie Slice comes out like thick Etouffee! or Gumbo Pie! My Mother grew up on sugar plantation in Napoleonville, had a lot of cousins that had ones too. I wonder if our families crossed paths? I bet they did! Do you include the crawfish fat? ive lived in Louisiana all my life, NOLA mostly, and this is one good crawfish pie! The only change I make is to add a little celery and Tony’s. Delish! Just like no two Louisiana gumbos are the same, people often take liberties with the trinity to suit their tastes. Made this a few months back, it was awesome. Had another bug boil and have a couple pounds in freezer, I guess it’s time to make a pie!! I once used cream of shrimp soup! Very good !!! Hi Melanie! That may be at your discretion. It will depend on the size pie plate you are wanting to use, or if you are wanting to make several small pies versus one large pie. Great recipe …. i added a can of drained mushrooms to the recipe and it turned out great. I only used 1 pound of crawfish tails and substituted flour for the cornstarch. I’m making this for my fourth time tonight. 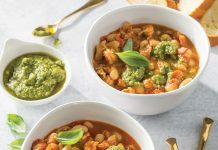 We absolutely love this recipe!! We use celery finly chopped as well as cream of celery soup instead of the mushroom. It’s perfect and makes you feel cozy and happy! !